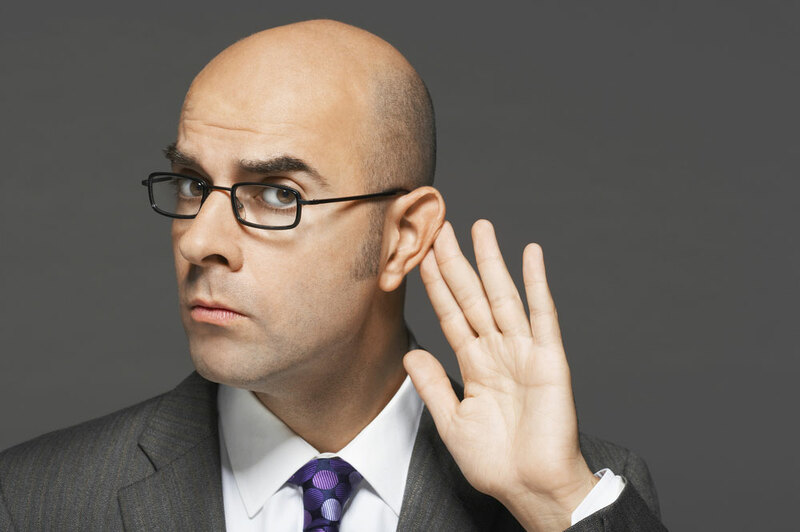 Quiz: How Good a Listener Are You? How Good a Listener Are You? By far the most common complaint marriage counselors hear is the statement: "We can't communicate." There are many reasons why communication stops or becomes superficial and brittle, including poor conflict resolution, problem solving, compromising and negotiating skills; withholding information; keeping secrets from each other and becoming defensive--to name a few. But one of the most overlooked reasons is because many of us have poor listening skills. How well do you listen? Take this quiz to find out. This quiz contains 19 multiple choice questions and takes about 3 minutes to complete. Your responses are confidential. You seem to often have trouble being able to accurately recall the details about a conversation. I am uncomfortable asking questions as a way of encouraging someone to open up to me. People will tell me what they want me to know, and anything else feels like prying. How frequently do you get interrupted by phone calls, texts, emails, social media postings or other distractions when you're talking with someone else? In a restaurant or other public place, how frequently do you listen in on other conversations when you're engaged in your own conversation with other people? How often do you finish other people's sentences for them, or complete the jokes or stories they tell? How often do you interrupt when you have something to say during a conversation? I listen more for the facts than the feelings in attempting to understand what someone is saying to me. After someone tells you a story, how likely are you to follow up with your own story? People have told me that it doesn't feel like I'm listening when they are talking to me. I am often thinking about my response when other people are talking. It's your observation that watching the other person's body language is seldom helpful in understanding what is being said. It's the words that are important, not those non-verbal cues. People have said you seem spaced out a lot. You find yourself interrupting another person's conversation frequently. I can carry on conversation while I'm watching TV, checking emails or otherwise engaged in some other task. It's not that important to look at who is talking to me. I can multi-task and still listen. I sometimes cut people off in mid-sentence in order to give my opinion or say how I feel. How often do people seek you out when they need a sounding board or want to talk about a problem? Usually in a conversation, I'm the one who talks the most. I am quick to correct someone if they mispronounce a word or say something I disagree with. Enter your email address below to get your results!